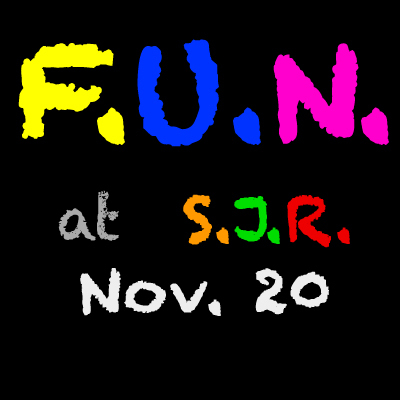 You’re invited to SJR’s F.U.N. This is our second F.U.N. event! Our first F.U.N. was a resounding success. If the 6 pm start sounds too early for you – Not to worry. We are going to feed you first and then we are going to have fun at F.U.N. Bring your kids & grand kids. Bring your Friend or neighbour. Everyone can be part of this F.U.N. Come and learn, play and enjoy an old fashioned card game. On Oct 23rd we are Serving up Crokinole and other simple old fashioned board games you wish to bring. All we need you to bring is an ordinary deck of playing cards. Come and join SJR’s F.U.N. Cost: The fun is free; pay as you can for supper.